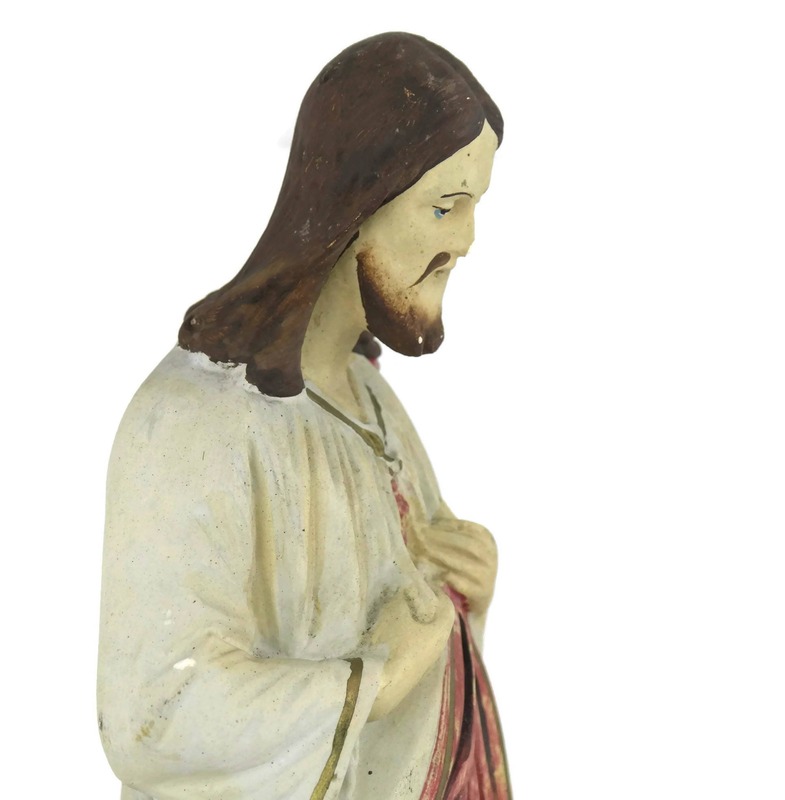 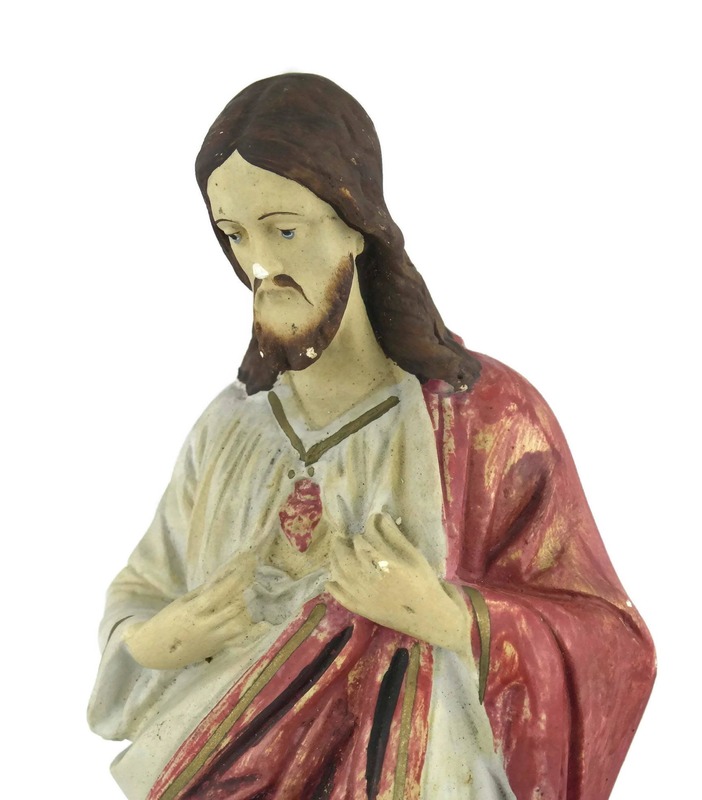 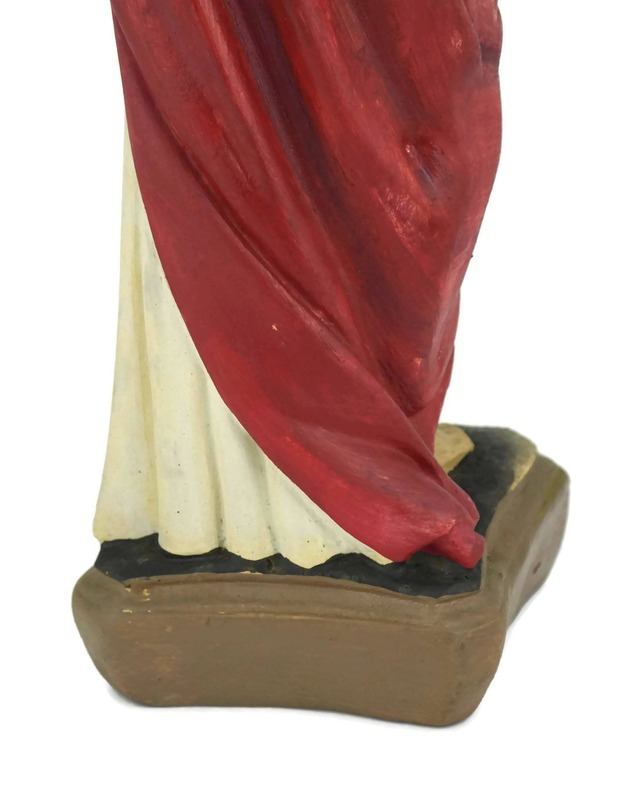 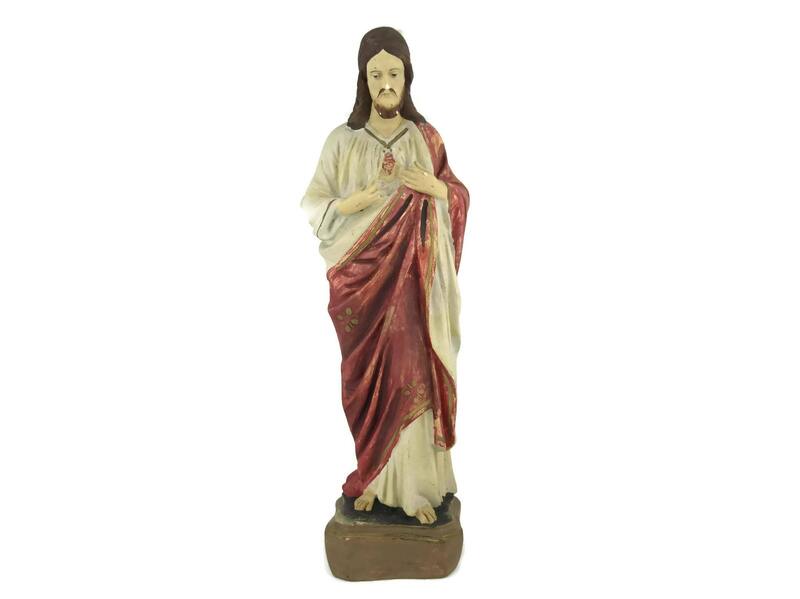 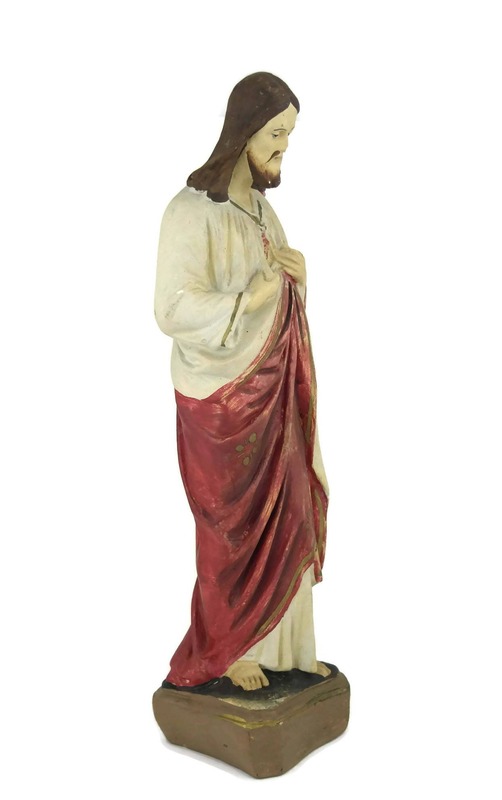 A magnificent antique French statue of the Sacred Heart of Jesus dating to the early 1900s. 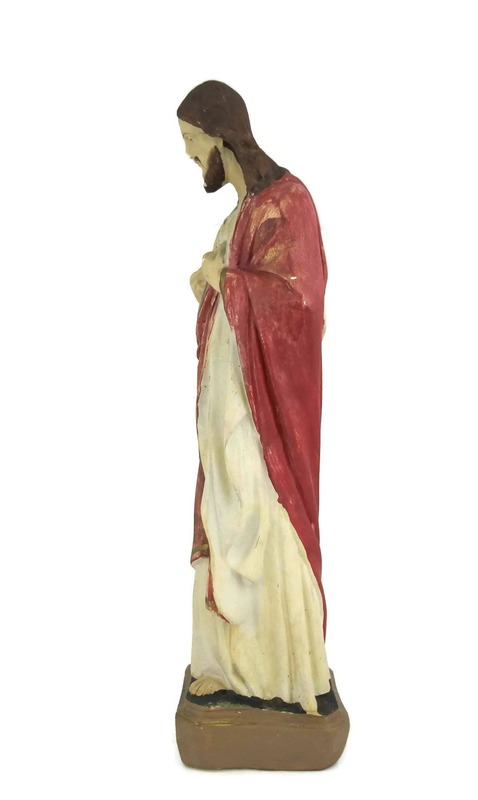 It was originally housed in the private chapel of a French family and was recently found at an antique market in Paris. 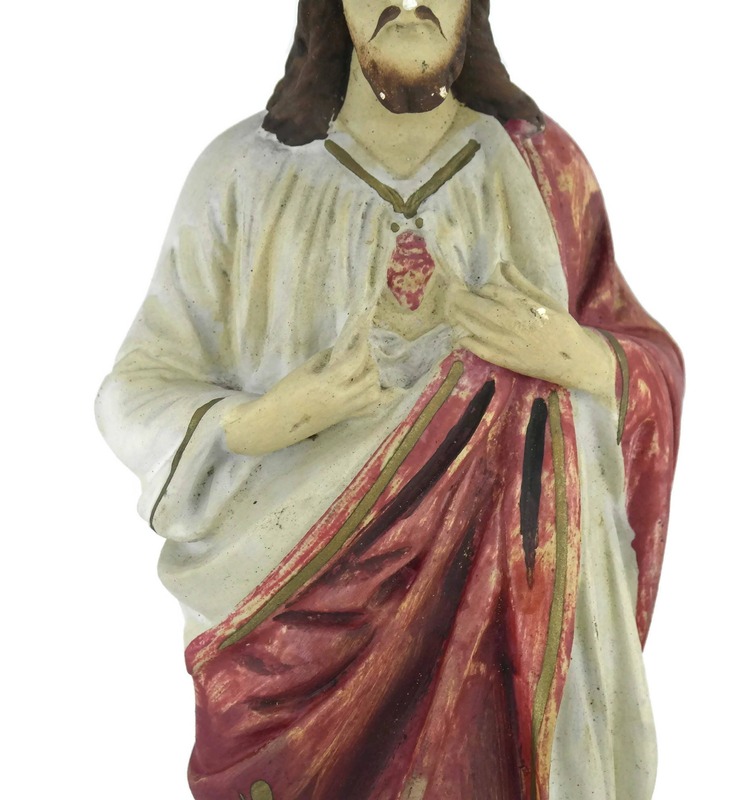 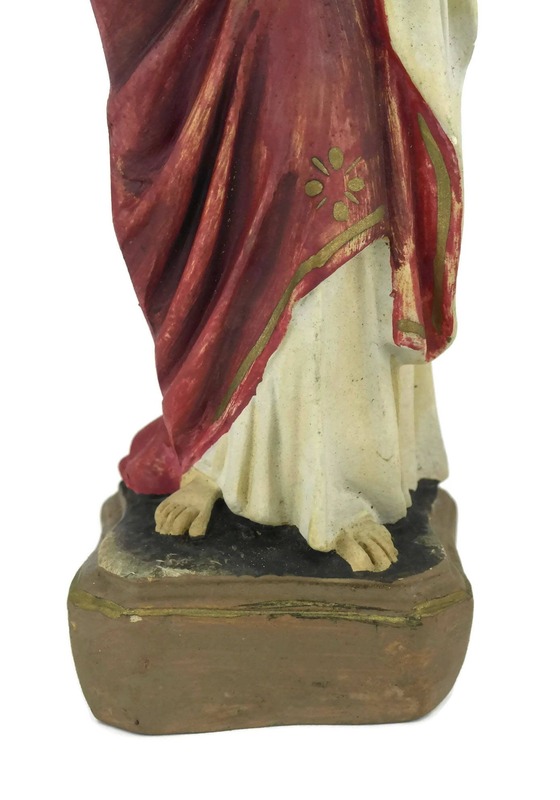 The large religious figure has been cast from chalkware and beautifully hand-painted with exquisite details including gold floral motifs on Christ's robes. 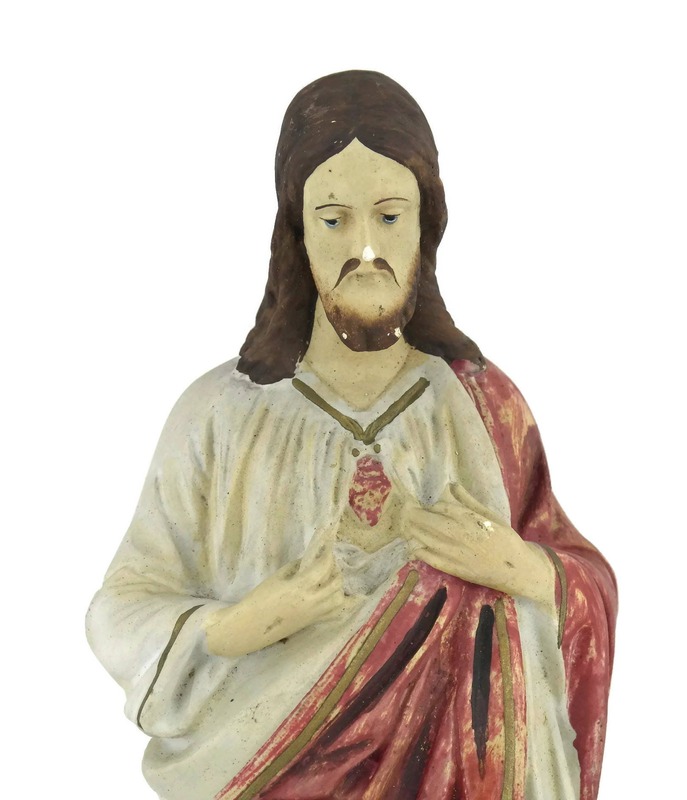 The Sacred Heart statue is in fair antique condition with signs of age including patina, surface flakes and a small chip to the nose of the figure.